We take great pride in the solutions we provide and the work we do. That's why when a customer is really happy with us, we want to share it with everyone. 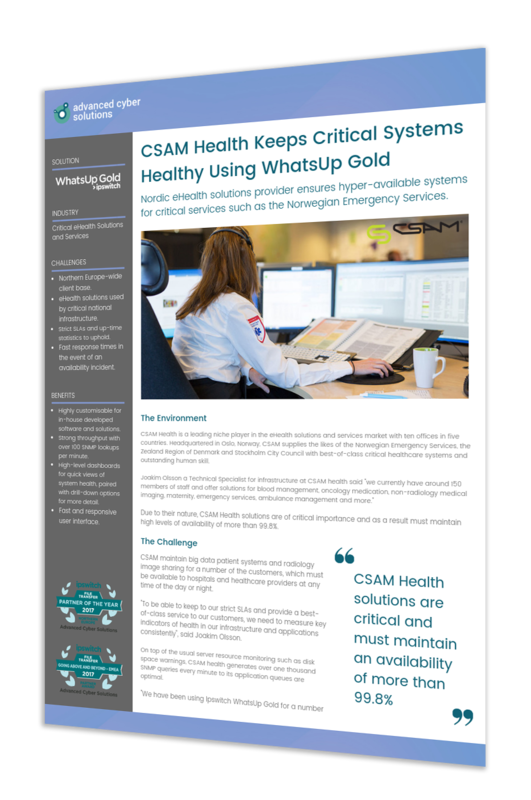 Ipswitch WhatsUp Gold for the Nordic regions specialist eHealth solutions and services provider, enabling them to ensure they are delivering a quality service to critical national infrastructure. 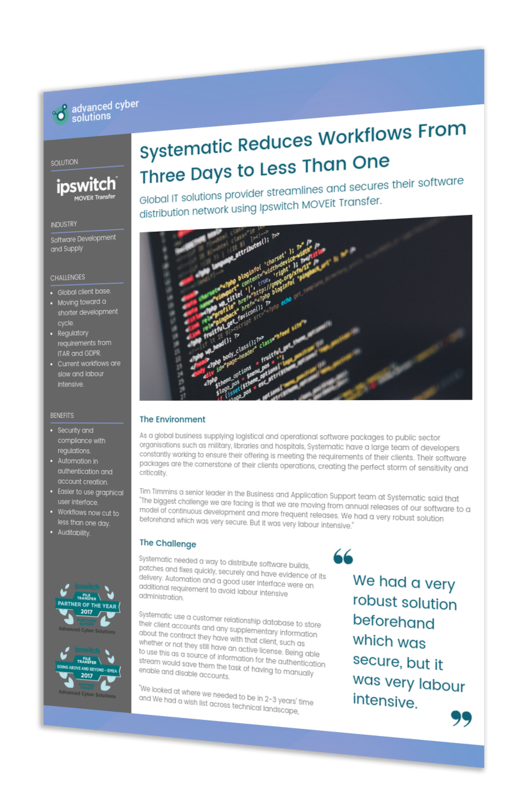 As as supplier of specialist software for Military and other public services around the world, Systematic user Ipswitch MOVEit Transfer to share new builds in an automated and secure fashion. 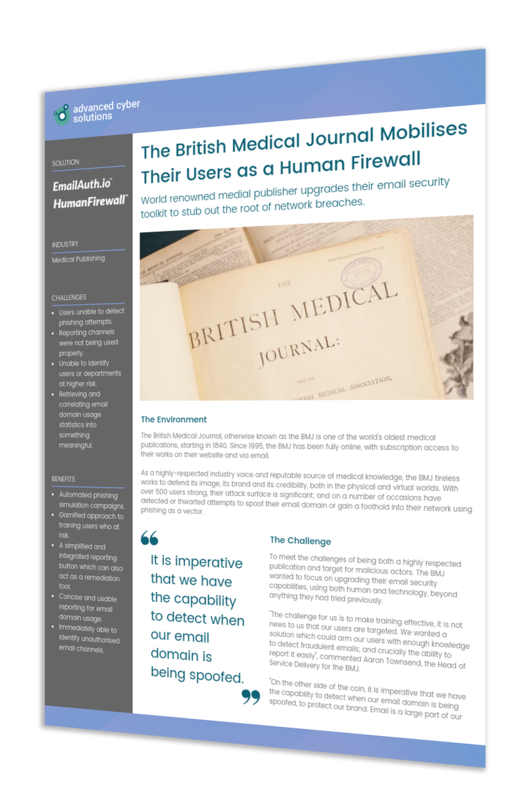 The BMJs use of EmailAuth for DMARC and Human Firewall for phishing simulation puts their email security capabilities at an all time high; and delivers a high level of trust in their brand.